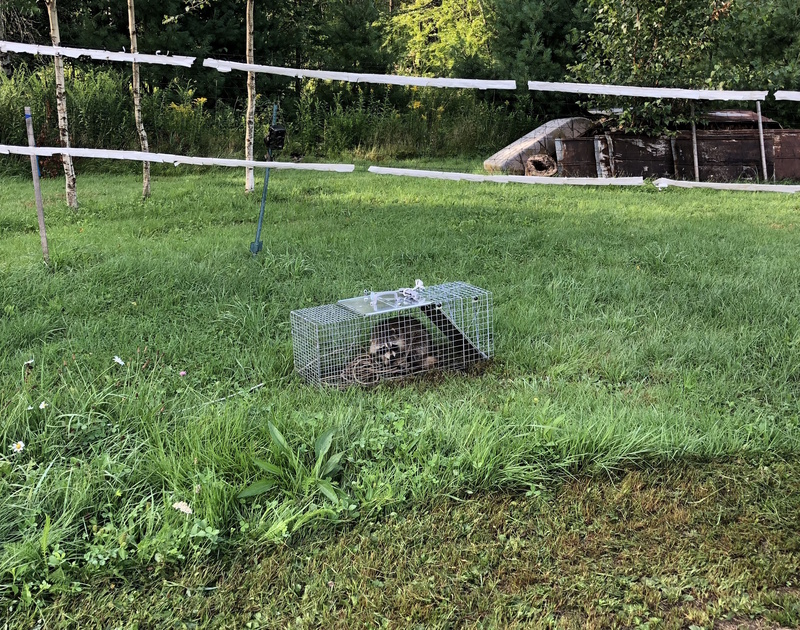 After the keets were taken out by a racoon, we bought a trap. We left store bought corn in there for weeks, but the racoon has standards and prefers local organic stuff. 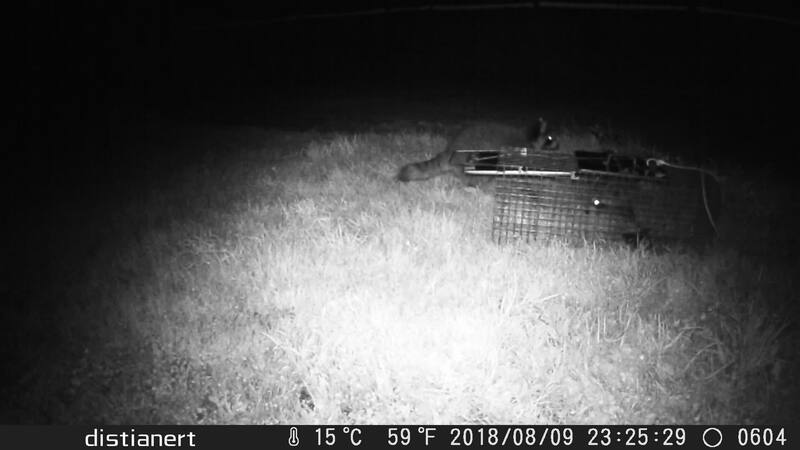 So instead it destroyed some of our corn plants not 10 feet away from the trap. As with the keets, leaving 80% the food untouched. Their modus operandi: destroying everything and taking a couple of bites is extremely enraging. The day I found our half eaten corn cobs on the ground, I decided it was time for the big guns. 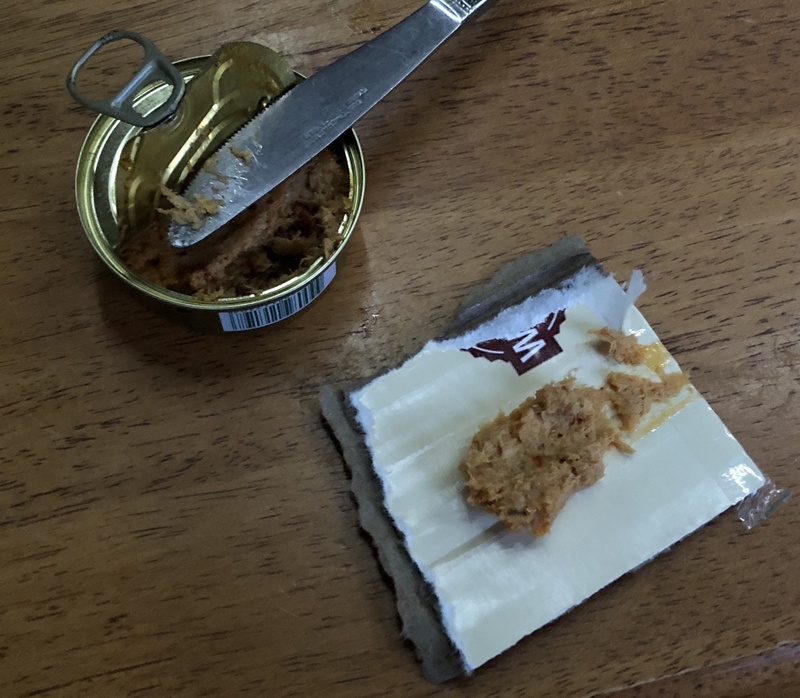 I opened a can of super fancy French canned fish we reserve for special occasions. I reluctantly shared a tiny bit of it with the trap, and special occasioned the rest myself. It had been many nights of failure, but this stuff is potent, and so the very same night, the racoon was trapped. Proving once again that French food is to die for. Notice how it pulled inside 30′ of the string I had attached to the trap’s handle and proceeded to gnaw and pee on it. It’s only fair that it would spend all night being a jerk under the circumstances. and now I know there’s 2… So far though, second one seems to have wisened up to what the trap means, or maybe the stench of pee and fear hormones isn’t an enticing accompaniment to a fancy diner.